We would like to welcome you to Al-Zamil stores, one of the most exciting retail outlets in the Middle East. 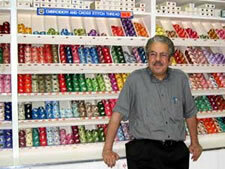 Started as a tailor supply store In 1964. 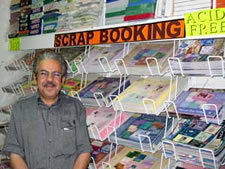 Al-Zamil Stores become the largest arts and crafts specialists. Carrying all sorts of branded arts materials and supplies including DMC, Zwigart, Canson, Dylon, Craueston, Plaid, Creation, Activa, ledger arts, and many other brands from India, China, Turkey, Italy, Spain, and other sources. That gives our customer a huge choice of quality, price, and variety. Al-Zamil Stores became as a landmark in the city of Khobar and a point of attraction of all visitors of the area, and its reputation have been spreading all over for the availability of items which cannot be found anywhere else. In short, Al-Zamil stores are brimming with items that stimulate the imagination and satisfy the creative spirit in us all.